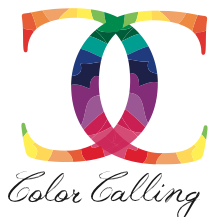 I am Ellen Rhett, owner of Color Calling, a color consulting firm in Mountain Brook, Alabama. I am Alabama’s only Maria Killam Certified True Color Expert. I am also a Residential Stylist. I am specifically trained in color flow, in the undertones of complex neutrals, and in creating focal points in your home. After receiving an MBA from the Manderson Graduate School of Business at the University of Alabama, I became a stockbroker in Houston, Texas. After I said goodbye to ” The Dow,” I returned to my Alabama roots with my husband, and we have been raising our children in the little Birmingham suburb of Mountain Brook ever since. I have discovered that what I really love doing the most is anything to do with making a home your favorite place to be, and was drawn into starting my business, which is Color Calling. Please follow me on my quest as I explore the many facets of residential color and style on this blog, with a smile and a dose of humor! If you are a decision-maker affiliated with Habitat for Humanity in Birmingham or Tuscaloosa please feel free to contact me at the above email address if your homeowner would like my help selecting paint colors for a Habitat Home. Please put “Habitat Request” in the subject line. I am honored to donate a portion of my time to this worthy cause. Love the acid green color and was wondering where to find those awesome mirrors? Chris, the mirrors are IKEA. What are your favorite neutral paint colors that are timeless and work with fabrics and area rugs with gold undertones? You will want to go with a yellow beige; however, this is a very different look from the current rage of putty-beige or pale gray neutrals. Gold is a color from the past Tuscan Brown trend, and so you need a lighter neutral to keep it looking more on-trend. Monterrey White, Monroe Bisque, or Powell Buff are light neutrals which could work. None of these are colors I am specifying frequently at the moment, but a lighter yellow beige is going to look more current than the darker golds. All Benjamin Moore.